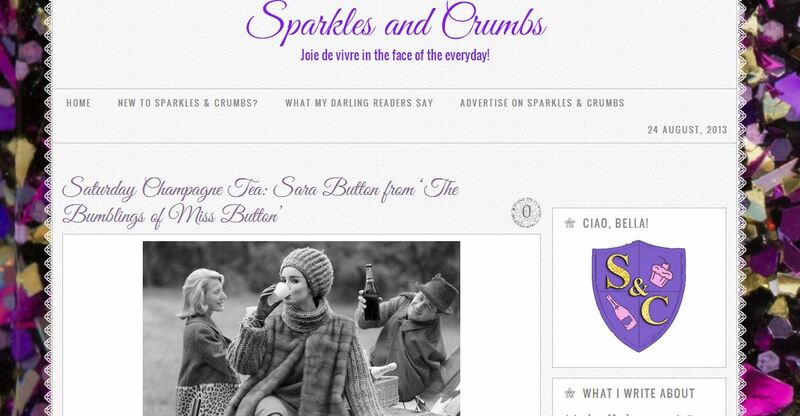 I just wanted to share with you all a fun interview that I was asked to do for Sparkles & Crumbs–a delightful blog run by charming fellow Italophile, Caroline! As someone who usually writes the interview questions, it was an interesting and pleasant experience being on the other side of the inquiries. One lesson I learned, though, is that it’s really hard, too! Especially doing written interviews, because you have the time to craft a response but then second guess everything you’ve written, leading to a lot of doubt and agonizing over word placement and tone. Such is the writing life, I suppose. Anyway, a big thank you to Caroline for featuring me on her wonderful Champagne Tea series–my first interview representing Bumblings of Miss Button as an interviewee on the interwebs! Check out my interview on Sparkles & Crumbs!